If you are already a loyal ALDI shopper, then you will probably be able to relate to this entire post. In fact, you may even be able to add a truth or two that I may have missed or may not have realized already myself. 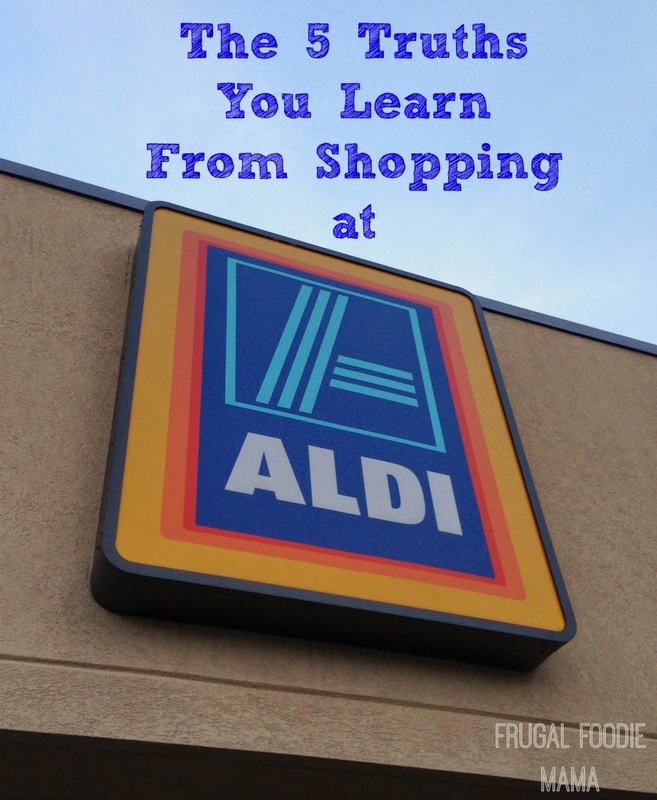 ;) But shopping at an ALDI is definitely not like shopping at your local chain grocery store. For a first-timer, a trip to ALDI may be uncomfortably foreign at first. And in fact, you may decide that it just isn't for you (this actually was my initial reaction when visiting an ALDI store for the first few times, but I changed my tune later). I mean, you have to pay for a cart. 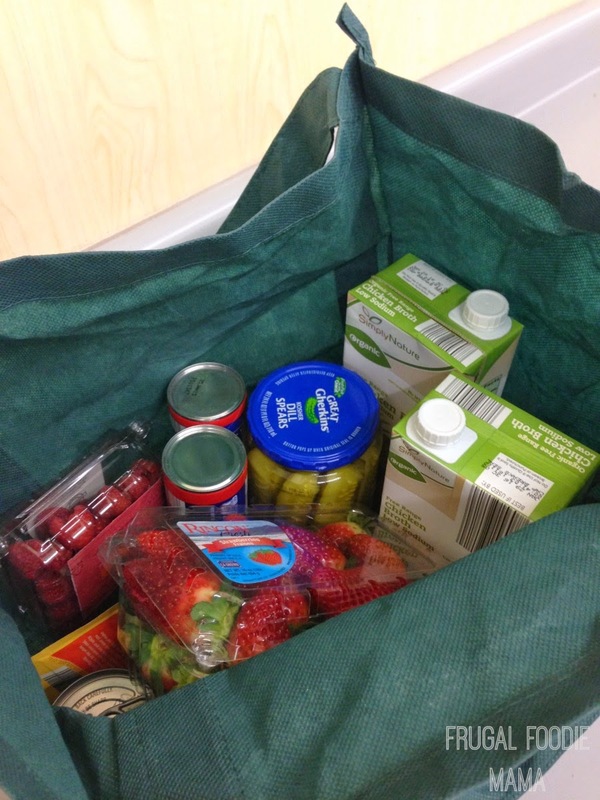 And there are not any grocery bags- unless you want to pay for those too. But once you have shopped there a few times, you may just see how genius their entire layout really is. I became a loyal ALDI shopper over three years ago pretty much out of necessity. My husband and I had just had our daughter, and I desperately wanted to stay home with her. But for our family of four to make it on a single income, we really needed to cut down our budget and fast. Since food has always been my forte, I tackled our grocery budget first. I dug in and despite the fact that I had turned up my nose to shopping at ALDI before, I gave it another go. And once I realized how much I was saving on our groceries each week, I was sold for life. :) Now I still shop other grocery stores and retailers in addition to my weekly trip to ALDI. But that is mostly for things that ALDI just doesn't carry or when another grocery store is having an amazing sale. 1. Organic doesn't have to be expensive. That's right, folks. 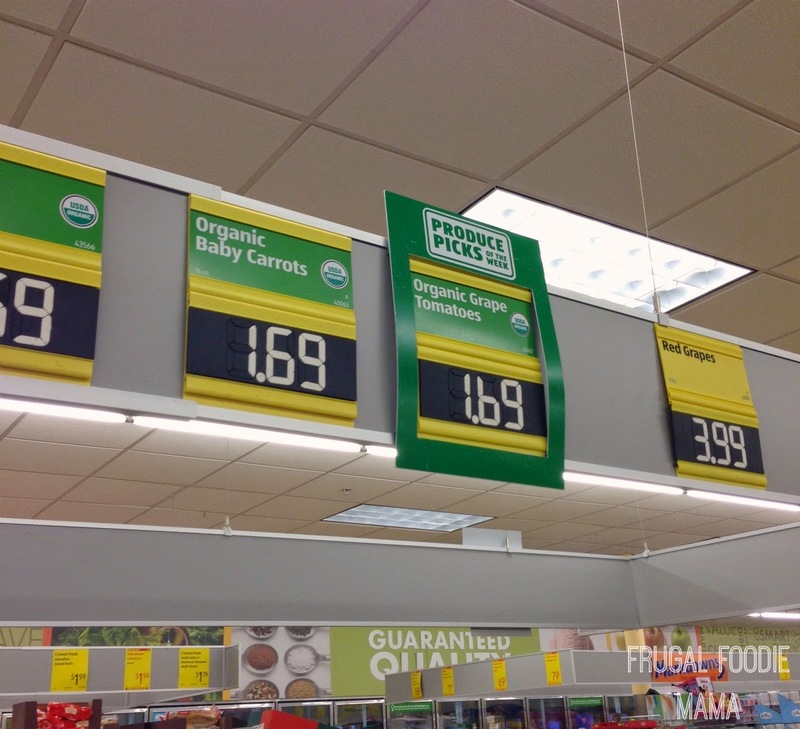 ALDI has been expanding their selection of organic produce and products more and more over the years, and often they are priced cheaper than their conventional counterparts at other grocery stores. You can still stay on budget and eat organic. 2. You learn how creative you can be in the kitchen when you spot a Manager's Special that you just can't walk away from. Tonight's pizza dinner plan just became eggplant parmesan! 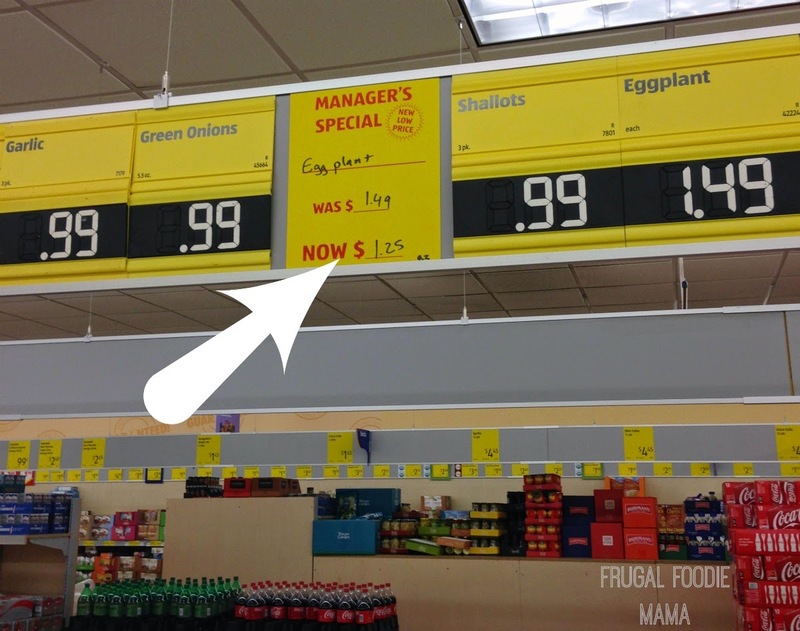 ;) In fact, those yellow signs are the first thing that I scout out as I enter each aisle of ALDI. You will mostly see these in the produce section, but they can be found for products all over the store. 4. You become very critical of the bag boys at the other grocery stores, or you at least find yourself giving them the side eye as they are bagging your groceries. Why? Because you bag your own groceries at ALDI, and you have mastered the best way to pack those groceries into the 2-3 shopping totes you bring along with you each time. ;) You know how you like it done. I often end up packing my ALDI shopping bags according to cabinet, refrigerator, and freezer with more fragile things packed safely on top. 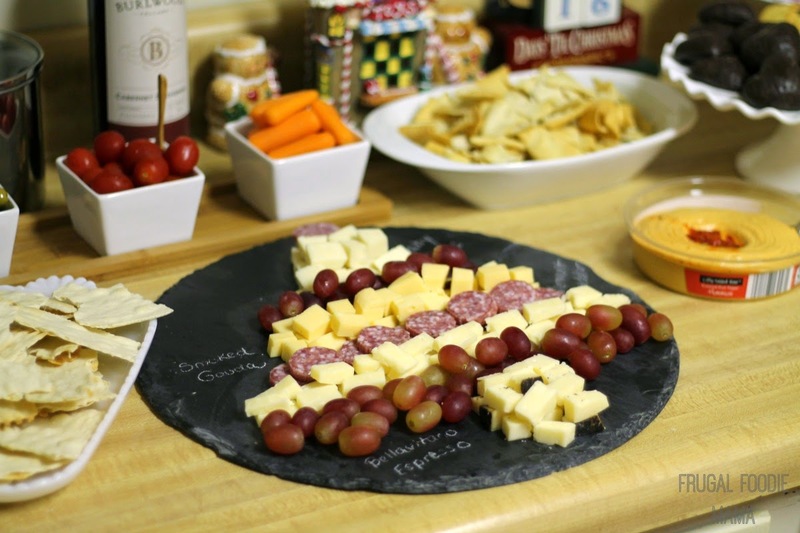 Are you a loyal ALDI shopper too? What is a truth that you have learned from shopping there?